There is an exhibit at the North Carolina Museum of History titled A Thousand Words: Photographs by Vietnam Veterans that is one of the most moving I have ever witnessed. 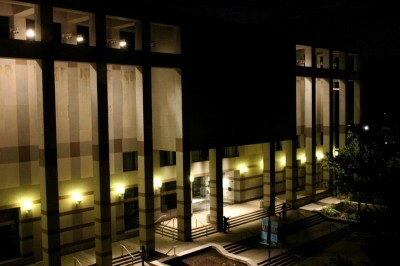 It was a project started in 2003 by Martin Tucker, a Photography instructor at the Sawtooth School for Visual Art in Winston-Salem. His initial thought was that it would be a great project that would allow his students to learn history along with the elements of photography and print making. It evolved into something much larger in scope, and is enabling many North Carolina veterans of the Vietnam War to tell their story. Each framed image contains some contextual information on the image itself, and frequently has commentary on the war from a higher level. It ranges from philosophical observations such as “The most valuable item in my posession was my ballpoint pen”, to thought provoking statements about other soliders: “An Army man once told me he’d never met a Marine that thought he was going to die”. 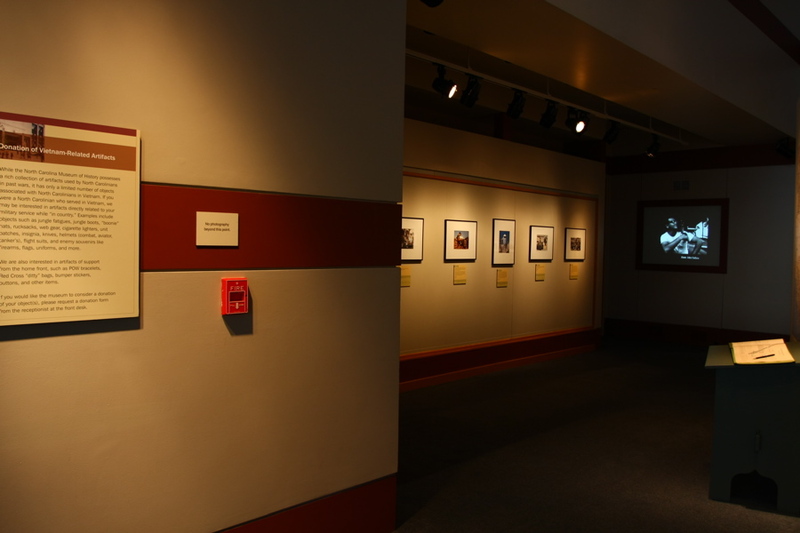 One of the most interesting elements of this collection of stories and photos is the communication that was a direct result of the exhibit itself. The veterans in the photos or behind the camera who donated their negatives as well as the ones viewing the images initiated a dialogue or conversation that may not have ever been otherwise. While making my way around, I heard a gentleman behind me talk about his experiences with his wife. From the way he described it and her reactions, it appeared to be the first time he had talked about the things he had. 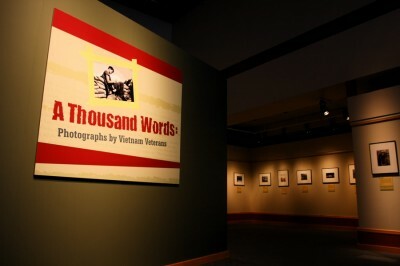 A Thousand Words is a very personal look at what the soldiers experienced and how they chose to document it,” explains Martin. 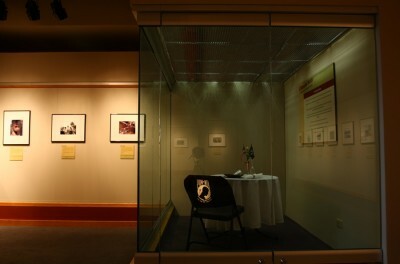 Each of the 60 compelling images selected for the exhibit has a description from the veteran who took the photograph. Topics include camaraderie, jungle combat, the Vietnamese people, and a soldier’s private moments. Martin says an important, unforeseen benefit emerged as the exhibit progressed. Through the photographs, the veterans found a way to express what they could not say. Silences about the war were broken between husbands and wives, family members and others. … Their gripping words range from the anguish of fighting near the Cambodian border to enjoying a 1966 Bob Hope Christmas show or finally taking a field “shower” in a rice paddy in 100-degree weather. For me, and I’m sure others who were born far after the end of hostilities between the two countries, that era exists in portrayals made by Hollywood in various movies over the years and other recreated versions of history. Seeing these photos first hand gave me a sense of connection with the soldiers and a better understanding of what that time was like. The exhibit runs until mid November of this year. I recommend going during one of the more quiet times (very early in the morning) to really absorb the story being told. It’s one I won’t forget. Great article, I will probably check this out. Philadelphia Veterans Parade 2016 & Vietnam Veteran pictures – Find the perfect Vietnam Veterans Memorial stock photos and editorial news pictures from VVA Chapter 1068.